MTA has showcased during Auto Shanghai an electromechanical unit specifically developed for Renault. This important supply to the OEM is a further evidence of the long partnership between MTA and Renault, active for more than 20 years. The product developed for Renault Scénic, Talisman, Kadjar, Espace and Mégane is intended to protect the fan control unit in diesel engines. The unit is supplied with two 80 A MidiVal fuses, manufactured by MTA, which are clinched to the bus-bar. The power distribution unit has a very small size meeting the car manufacturer’s requirements to save space in the engine bay. The fuse body and the cover are overmolded with a silicon gasket for an IP5K3 protection against dust and water and they are guaranteed for operations between -40°C and +85°C. The power distribution unit developed for Renault is produced in the new MTA’s facility in Morocco. Founded in 2017 and located in Kenitra, the factory is equipped for plastic molding and assembly of electromechanics products for Car makers and Tier1 companies. Learn more about MTA’s electromechanical units supplied to cars, motorcycles and heavy-duty vehicles. Press Release – A power distribution unit for Renault diesel cars – English. 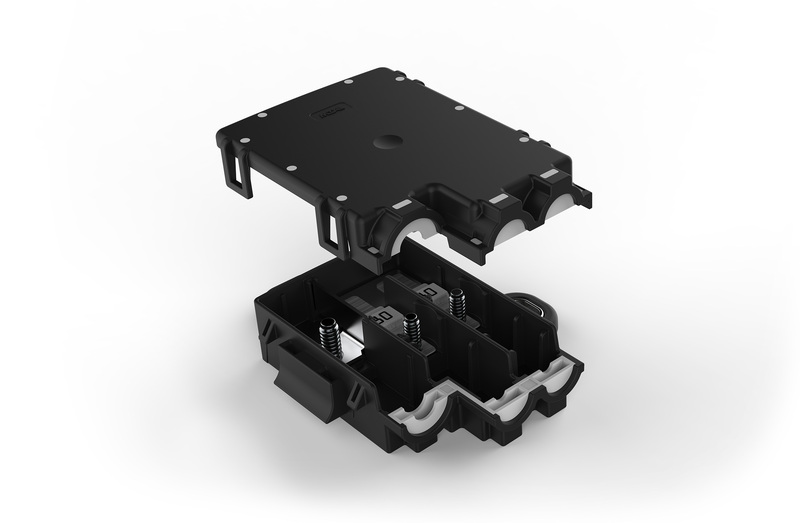 Press Release – A power distribution unit for Renault diesel cars – Italian.